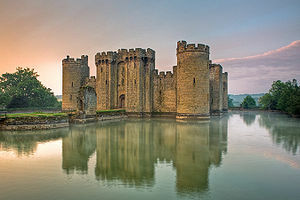 This week's castle is Bodiam Castle in England, and one that I find so incredibly enchanting. 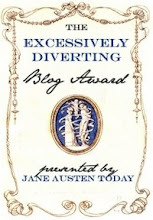 So much so in fact, it is the backdrop for my website and facebook page. Bodiam was built in East Sussex in the late 14th century, to help defend against the French invasion during the Hundred Years War. 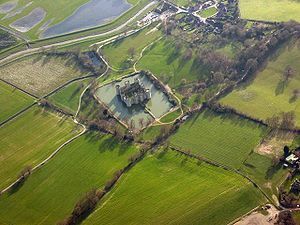 The castle is surrounded by a moat, houses seven impressive towers, a main twin-towered gatehouse and an outer barbican. 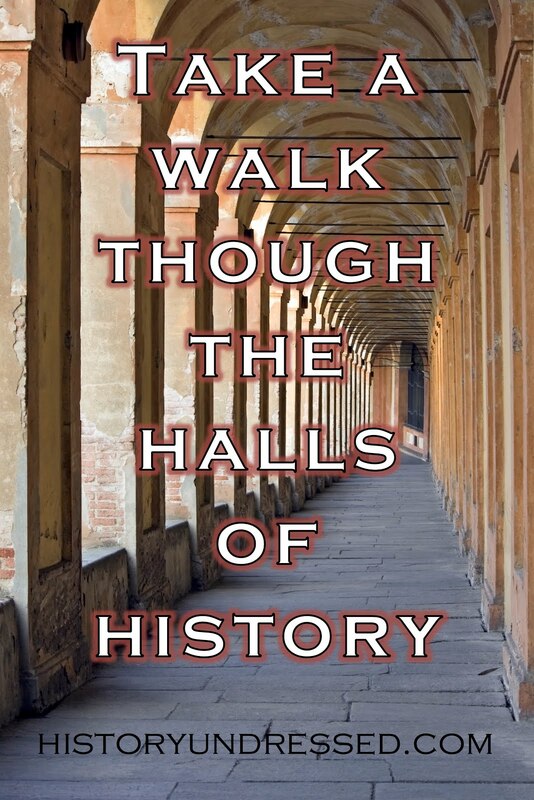 The very center of the castle was a large courtyard, which the castle surrounded with its various towers (3 stories high each) and then its connecting buildings within the curtain walls which were 2-stories high: apartments, chambers, a chapel, the pantry, great hall, service rooms, kitchen, stables, etc... 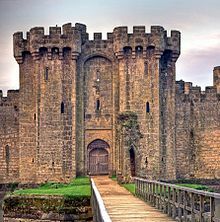 There would have been a few bridges to the castle, one at the postern tower at the rear, a drawbridge would have connected the barbican to the main gatehouse. The barbican and outer causeway were on their own sort of island and beyond them was a bridge leading over the massive moat. Note: all of the garderobes drained to the moat... Any enemy attempting to swim would essentailly be swimming in a large sewer. Bodiam Castle is now operated by the National Trust, so you can visit it! 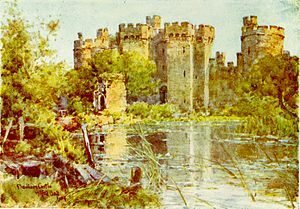 This painting was done in 1906 showing the overgrowth and lack of maintenance on the castle, which was then shortly after taken over by the National Trust, cleaned up and restored. My favorite picture, a sunset surrounds the castle. This is a great feature! And I LOVE LOVE LOVE castles! So keep 'em coming! Thank you Laura! Me too :) And I will certainly keep them coming, I can't get enough!!! I love castles, & what a gorgeous setting! Thanks. We visited Bodiam in 2011 - one of our favorite castles! @Margaret -- Me too, and I agree!!! I would LOVE to go there and just write. @Daphne -- Oh, I bet it was so magical in person! Definitely on my "Must See" list! I went to Bodiam years ago and have that second picture framed. It was a wonderful place. I loved being there and imagining all sorts of things. Another favorite is Camber Castle near Rye. Do you have any plans for it? 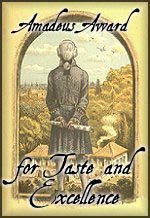 I plan to make a trip to England as soon as I sell one of my historical fiction novels. They are in the revision processes now, so fingers crossed it will be in the next couple of years!